Megan Steffen (林玉屏) is a sociocultural anthropologist with a PhD in anthropology from Princeton University. 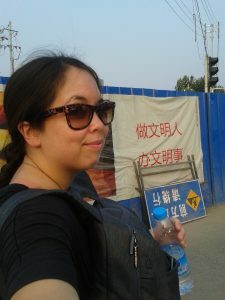 She conducts ethnographic fieldwork in Zhengzhou, the capital of Henan Province in the People’s Republic of China. Her dissertation-based book manuscript examines how accidents and unpredictability influence the way people make decisions and maintain social relationships. She is currently working on projects related to ethnographic methods and ethics, theories of crowd and group formation, and economic anthropology.